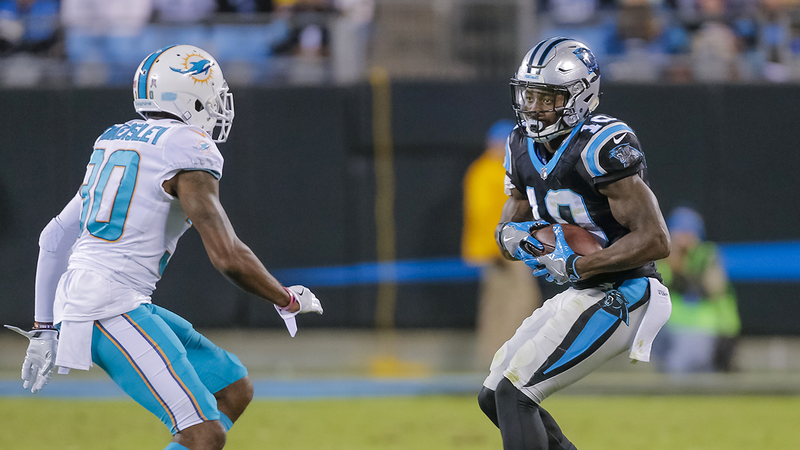 CHARLOTTE, North Carolina (WTVD) -- Carolina Panthers rookie wide receiver Curtis Samuel will miss the remainder of the season after suffering ligament damage in his ankle, the team confirmed Tuesday. Samuel left Monday night's 45-21 win against the Dolphins early in the third quarter after his foot turned awkwardly under the weight of Miami safety Reshad Jones in the end zone. Prior to the injury, Samuel was enjoying the most productive game of his career, recording a career-high five catches for 45 yards in the first half against the Dolphins. 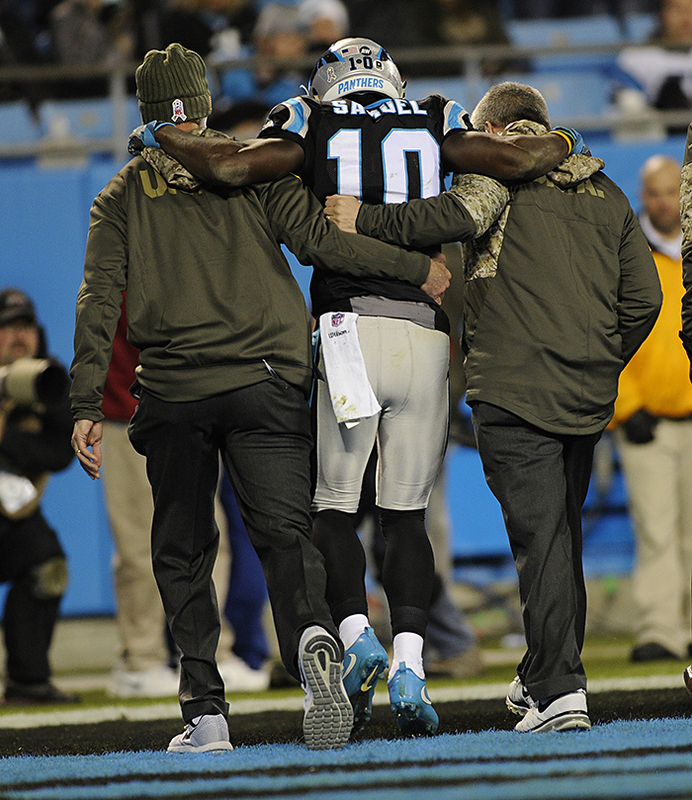 Carolina Panthers wide receiver Curtis Samuel is helped off the field after injuring his ankle against the Miami Dolphins on Monday. Samuel, who was drafted to threaten defenses with his elite speed, battled a hamstring injury throughout the summer and a high-ankle sprain in his right foot during the early part of the season. But when wide receiver Kelvin Benjamin was traded to the Buffalo Bills two weeks ago, Samuel assumed a starting role alongside Devin Funchess. The Panthers (7-3) must now rely on Funchess, Kaelin Clay, Russell Shephard and Brenton Bersin. Damiere Byrd is expected to come off injured reserve in early December.